MRI stands for Magnetic Resonance Imaging. MRI utilizes a powerful magnetic field and radio waves to generate detailed pictures of the inside of your body using computer software. Traditionally the patient underwent an MRI scan before the surgery and based on these images the surgery is performed and later the patient is again transferred to the MRI room to reconfirm if the surgery was performed as planned. In case any abnormality is found the patient is subject to another surgery to correct the abnormality. This cycle might repeat a couple of-of times. 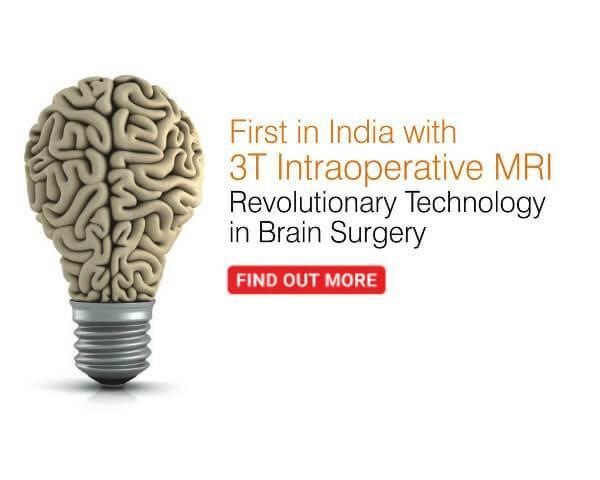 Intraoperative Magnetic Resonance Imaging or IMRI is used by the neurosurgeons to visualize the patient’s brain during surgery without the need to move the patient out of the operation theater. This cutting-edge technology helps to create accurate pictures of the brain that guide the neurosurgeons to remove tumors of the brain and other abnormalities during operation in a single setting. Identify abnormalities if there is brain shift. The brain often shifts during a surgery, which makes pre-surgical imaging inaccurate. Intraoperative MRI gives surgeons the most accurate real-time images of the brain. Distinguish normal brain tissue from abnormal brain tissue. Differentiating the edges of a brain tumor and separating the normal tissue from abnormal tissue is a difficult task. Intraoperative MRI helps to confirm that the entire brain tumor is removed completely. MRI is especially useful for imaging the brain using radio waves and a magnetic field to create detailed visuals of the tissues and organs in our body. When and how often MRI images are captured during surgery depends on the procedure and the patient’s condition.